The world watched in amazement as Andrey Arshavin scored through the legs of veteran Edwin van der Sar to knock home Russia’s 3rd goal of the match in the 116th minute of the quarter finals of the EURO 2008 to put the match beyond the high flying Dutchmen. Their stellar displays had made the likes of Arshavin and Pavlyuchenko the hottest properties in European football. Along with this, CSKA and Zenit’s UEFA Cup victories, within three years of each other led many to believe that, Russia’s golden generation were taking them back to the times when the USSR was a force to be reckoned with. However, two years on, the optimism has disappeared and the right to host 2018 WC remains the only glimmer of hope for football in the country which has been ravaged with problems in every area of the game – whether it is on the pitch, or in the financial or cultural spheres. Take that, Portugal and Russia. The legendary Panathinaikos Basketball team won yesterday its sixth European Champions Trophy, in the Final-Four which took place in Barcelona. Panathinaikos is the most successful team in modern European Basketball history as they have won the title, during the last fifteen years, six times while Real Madrid is in the top of the list with eight wins but with the last win in 1995 and four wins during the 1960’s but basketball was so much different back then. The Fifa Task Force Football 2014 met for the first time today in order to review the game and discuss what the future of football could hold for football. The main changes that the task force have proposed are allowing extra substitutions and a discussion of the offside rule, in relation to when a player is active, and to increase the number of female coaches and female referees. The members agreed to debate allowing a fourth substitution in extra time, particularly in the case of youth competitions. A discussion into the interpretation of the offside rule when it comes to interfering with an opponent, especially when it is not physical interference, was put forward. The task force also debated over ‘triple punishment’ – where a red card, penalty and suspension is dished out – and agreed that in the case of denying a goalscoring opportunity, the three sanctions should only be for serious fouls. They proposed reducing sanctions for simple fouls to deny a goalscoring opportunity, suggesting they would be punished only with a yellow card and a penalty. The next topic for discussion was a general agreement on the need to professionalise refereeing. The group’s task is to come up with concrete solutions in order to further enhance the level of refereeing, and look into opportunities for how to better support referees for the 2014 World Cup in Brazil. The task force suggested that for Fifa under-17 competitions and below in both the men’s and women’s game, there should be no extra-time after 90 minutes, with a penalty shootout to determine the winner. Women’s football was discussed, and the group was asked to come up with proposals to increase the number of female coaches and referees. I really don't want them to change the offside rule. Having 3 allows some technical and tactical leniency but is fair. Having 4 would just allow a manager to completely change the team almost at will and although it would entice managers to be more carefree and would probably evoke a new sense of attacking free-flowing football, it shouldn't be allowed. It's similar to why i don't want temporary substitutions. It's just not football and it allows too much tactical leniency and change. You have to go back to 1996, when Chornomorets Odesa were silver medallists, for the last time it wasn't Dynamo Kyiv and Shakhtar Donetsk occupying the Premier League’s top two positions in one order or the other - and despite a valiant effort from Metalist Kharkiv, this season won’t buck that trend. On Saturday, Dynamo confirmed themselves as runners-up with a 2-1 win away at Karpaty Lviv, shortly before in Ukraine’s industrial east Shakhtar wrapped up a sixth league title in the Donetsk derby. It hadn’t really been in any doubt. Uefa have confirmed they have met with Fifa and the normalisation committee of the NFSBiH (Bosnia-Herzegovina Football Federation) at Fifa headquarters in Zurich as they work towards the aim of lifting the ban inflicted on the Bosnian association. Fifa and Uefa confirmed on April 1 that Bosnia-Herzegovina had been suspended from international competitions until further notice. The reason for the suspension was that members of the country's federation voted against a proposal to comply with Fifa and Uefa regulations that commanded the NSBiH to switch from a three-man inter-ethnic presidency to a one-man presidential system last year. On April 12, Fifa's emergecy committee appointed the normalisation committee to ensure progress was made within the Bosnian federation. Following today's meeting, Uefa confirmed the NFSBiH has until May 26 to accept the statutes, and they are confident an agreement can be reached. "The normalisation committee of the Bosnia and Herzegovina Football Federation (NFSBiH) met today with representatives of Fifa and Uefa at the home of Fifa in Zurich. This working meeting had been scheduled in order to discuss the process in relation to the statutes of the NFSBiH and the work of the normalisation committee in this regard. "The members of the normalisation committee, led by chairman Ivica Osim, were greeted by Fifa president Joseph S. Blatter and Uefa president Michel Platini, who congratulated the committee for their work and efforts and assured them of the support of the two organisations they head. "At the conclusion of the meeting, Fifa and Uefa expressed their satisfaction with the work of the normalisation committee, which is making good progress in both the statutes process and the improvement in management of the federation. Fifa and Uefa are confident that the statutes will be approved by the established deadline of May 26." Bosnia's next scheduled competitive fixture is a trip to Romania in a Euro 2012 qualifier on June 3. “There were no financial conditions, but it was understood that there would be some funds raised to help the victims of the recent floods in Brazil.” – Bebeto. “We realised that the people of the Chechen republic have not had a chance yet to see the players who were champions of the world and for us it was a great joy to get together and also give joy to the public.” – Dunga. “Both our countries have problems. By playing football we are trying to contribute to settling the problems our countries are facing.” – Cafu. The sight of seeing the Brazil 1994 squad turn up for a match in freezing Chechnya this week was one of the more strange footballing stories over the past seven days. However much those involved may have wished to argue that the match was played for altruistic reasons, and not about oodles of cash, cynics will always be doubting the real reasons why the likes of Bebeto, Cafu, Dunga, Rai, Romario and Zetti would turn up in ice-cold Russia for this exhibition. With the Brazilians up 2-1 in the 25-minute first half with goals, Chechen President Ramzan Kadyrov scored an equaliser after he beat Zetti one-on-one after the 46-year-old goalkeeper slipped and fell on the frost-covered pitch. Kadyrov, who missed a penalty shot in the first half, scored his second goal from another penalty shot near the end of the second half. The play was then extended for 13 extra minutes, but Chechnya’s team was unable to add to the score. Cafu, Bebeto (2) and Romario also scored for Brazil, with the two remaining goals knocked in by Savio. Kadõrov with another match where superstars 'aren't getting any money'? Fun fact I was in the army with a guy called Kadõrov. He should be pretty good snowboarder in Estonian standards and once tried to get a army-hall-pass(dunno the terminology here) for some event in Chechenya saying he's related to Ruslan Kadõrov. The news is now on the web portal of Dubai clubs: Diego Armando Maradona is the new coach of Al-Wasl. His engagement was confirmed by Vice President Marwane Ben Bayatt. Diego Maradona is believed to have signed a two-year contract to become head coach of Dubai-based club Al Wasl, The National reports. The Argentine legend is thought to have held talks with chief executive Ashraf Ahmad Mohammed and chairman Marwan Juma Beyat over the weekend, before accepting what has been described as a 'lucrative' agreement to take charge of the team. Maradona's imminent appointment has come as a surprise, as last month Al Wasl officials announced their decision to replace the outgoing Sergio Farias with a European coach. However, the 1986 World Cup winner is thought to be on the verge of taking the helm, and the club are expected to confirm his appointment today. The former Napoli and Barcelona playmaker has been out of the game since stepping down from the Argentine national team post after the 2010 World Cup in South Africa. Last edited by acmilan4ever; 16-05-2011 at 12:25. 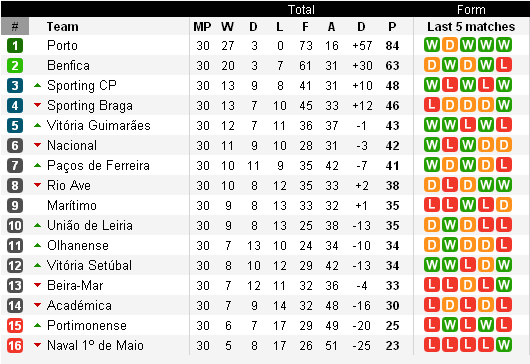 On Saturday evening, Porto triumphed 2-0 in Maritimo to ensure that they ended their title-winning season unbeaten. The Portuguese giants had already celebrated regaining their crown from rivals Benfica with six weeks of the campaign to spare, and their invincibility domestically has been one of Europe's most impressive achievements in 2010-11. Masterminding this run - which has also taken the Dragons to the Taca de Portugal and Europa League finals - is Andre Villas-Boas, their ambitious, meticulous coach. The 33-year-old is emerging as one of the most respected and coveted tacticians in the game, and his heroics with Porto, driving a team that had finished third in the previous campaign to unprecedented success, have inevitably led to speculation over moves to Chelsea, Juventus and Roma. Villas-Boas has emerged from under the guidance of Jose Mourinho to become a leader in his own right, and the similarities between pupil and mentor are numerous, and intriguing. Villas-Boas left an indelible impression on then-Porto coach Robson, who was awestruck at the enthusiasm and knowledge base showcased by the 16-year-old, who lived in the same apartment block as the Englishman when he was manager of the Dragons in the mid-1990's. He immediately appointed his new companion in an analytical role with the Portuguese club, a position that cultivated his particular approach to management. His rise to prominence is akin to Robson's discovery of an eager interpreter who wished to further himself in the game: Mourinho shadowed Robson at Sporting Lisbon, Porto and Barcelona, honing his own techniques in the presence of the legendary figure. When Mourinho became Porto boss in 2002, Villas-Boas' reputation that he had earned under Robson led to his appointment as assistant coach, and he retained the post under 'The Special One' at Chelsea and then Inter. The age-old debate continues to rage inside the football world as to whether great players make great managers, but both Villas-Boas and Mourinho did not progress beyond a modest level of competition in their youth. Utilised initially by Robson because of their grasp of English, both made up for their lack of experience by becoming students of the game. By being attentive to the style firstly of Robson, their humility and willingness to learn have been characteristics that have been noted by each subsequent coach that they have worked alongside. Rather than being able to compete and collect tactical and training techniques as a player, both have approached the game from the outside looking in, and have not been affected by convention or traditional ideas. Instead, in order to broaden his education, Mourinho immersed himself in statistics and footage of the opposition in order to gain an advantage – ideas that his protege continues to implement and adapt. Mourinho requests for an exhaustive dossier to be compiled on the next team he will face, something that began in earnest when working under Louis van Gaal at Barcelona. The Dutchman was impressed by his assistant's attention to detail, and he has carried on these ideals. Villas-Boas was the man enlisted to scout opposition for Mourinho at Porto, and his gathering of data extended to providing each player in the match squad with a bespoke DVD containing information on the player they would be in direct competition with on matchday. The information not only catalogued tangible data but also strived to provide a psychological profile on each player by assessing their mannerisms in training sessions. This undeniable desire to leave nothing to chance is a notorious trait of Mourinho, and one that Villas-Boas has also embraced. Villas-Boas remains respectful of the opportunities offered to him by Mourinho, but cringes at consistent comparisons with his former boss, despite the obvious similarities. It was his decision to become his own man that led to a breakdown in the relationship of the pairing. But Mourinho did something similar with Robson in 2002, who begged him to become his assistant at Newcastle. He decided he wanted to rise to the challenge of coaching on his own terms – just as Villas-Boas would do to him seven years later. Both men took steps into the relative unknown, but it is in their debut seasons at Porto that they began to defy statistics and lead their respective players on a series of record breaking runs. Mourinho's incarnation romped to the league title losing only two games in the entire campaign, while Villas-Boas' team haven't lost a single match. In Europe, Derlei's goals propelled the Dragons through the rounds eight years ago and earned him the top scorer accolade, just as Falcao, whose 16 efforts this season make him the tournament's record holder for goals in a single campaign, has driven the class of 10-11 past every opponent that has lay in their wake. Mourinho enjoyed just short of a 77 per cent win ratio that year – this season, Villas-Boas has achieved an astonishing 83% - it is easy to see why this Porto team, and the efforts of its coach, are being held in such high esteem. Porto have been fortunate indeed in the past decade that their decisions to appoint two relatively inexperienced coaches have facilitated two of the most successful seasons in the history of the club. When Mourinho arrived at the Dragons in mid-2002, he had enjoyed relative success at Uniao de Leiria and a brief spell at Benfica, but was taking on a Porto side languishing in mediocrity. He brashly announced that he would make the team champions the following season – a promise he would keep in emphatic fashion. Similarly, Villas-Boas had led an Academica outfit seemingly doomed to relegation into a respectable league position, and was thrust into the limelight at the Portuguese giants after Jesualdo Ferreira's 2009-10 campaign had ended with the unthinkable – failure to qualify for the Champions League. His appointment was just as much of a gamble as that of Mourinho; despite his young age and the positive attention he had received, handing over the reigns to Villas-Boas was regarded as a unnecessary risk at an uncertain time. But the determined coach defied his critics by storming to a league title that never looked in doubt, and, just as Mourinho did eight years previously, cemented his reputation of one of Europe's hottest prospects. Back in 2003, the UEFA Cup was still regarded as a significant European trophy, before the Champions League exercised its vice-like grip on the aspirations of any major club worth their salt. In addition to domestic successes, Mourinho masterminded a semi-final victory over Lazio before beating Celtic in extra-time in Seville. This season, Porto have rampaged through the revamped version of the same tournament, dismantling quality opposition such as Sevilla, Spartak Moscow and Villarreal with ruthless efficiency. 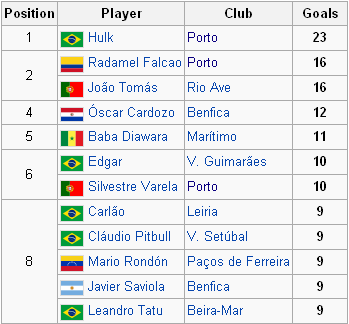 Their progression is thanks in no small part to the scoring exploits of explosive duo Hulk and Radamel Falcao. Should Villas-Boas overcome Braga to complete an identical treble to Mourinho, it would represent yet another curious parallel in the careers of both men. Mourinho famously followed up his UEFA Cup success by lifting the Champions League the following season, with much the same group of players. Porto have been impressive enough in 2010-11 for some to suggest that they could emerge as tournament dark horses next year. The 33-year-old is an assured man of considered thought, and has made no secret of his desire to remain a coach at the highest level for no longer than decade. He feels that the extent to which he absorbs himself in his work does not correlate with a healthy lifestyle in such a pressurised environment. In short, he wants to create a legacy and move on. While he is likely to take on the Champions League challenge with his elite team, there will be no shortage of suitors grappling over his appointment come the summer. With Kenny Dalglish committed to Liverpool, a move to England may have to wait, but Italian heavyweights in the form of Juventus and Roma are both plotting wholesale changes. Given Villas-Boas' propensity for adapting the personnel already available to him into winners, it is little wonder he apppeals to two clubs desperate to rekindle success. Then there is the possibility of a move to Chelsea - which would inevitably lead to even more comparisons with Jose. Twelve months can make quite a difference, however. If he were indeed to follow Mourinho's precedent and lift the Champions League in Munich in 2012, it may be that Europe's giants will be even more desperate to land their own 'mini-Mourinho'. Costa Rica are set to replace Japan in the Copa America after the Samurai Blue confirmed their absence, but the Central American nation would only travel with a team formed from Under 23 and locally-based players due to Gold Cup commitments. As Goal.com revealed on Monday evening, the head of the Japanese FA Junji Ogura sent a letter to his Argentine counterpart Julio Grondona explaining that his side would be unable to attend the tournament. As the missive explained, the Asian side's presence was made impossible by the refusal of many European clubs to release players for the South American tournament. The original idea was to play with J-League representatives, but due to a six week suspension made necessary by the devastating natural disasters which hit Japan earlier in 2011 the league will continue in July, meaning the Japanese FA could not field a competitive squad in Argentina. Ole subsequently report that Costa Rica, currently coached by Argentine Ricardo La Volpe, have been chosen to fill the 12th spot in the tournament, and will later today receive an official invitation to join Group A alongside the hosts, Colombia and Bolivia. The local federation, however, according to the newspaper, have already made the decision to leave the nation's biggest stars at home. The bulk of the side will be youngsters under the age of 23, with five over-age players permitted. These will most likely be from the Costa Rican leagues, unless foreign-based players such as Junior Diaz and Bryan Ruiz can get permission from their clubs to travel. Last edited by dev1L; 18-05-2011 at 18:50. In a country which is growing at a rapid rate economically and with a population exceeding 1.2 billion (and growing) two questions arise: 1) what chance there is of football replacing cricket as the most popular sport in India? And 2) Are we likely to see the Indian national team being able to compete on the world’s largest stage any time soon? I have been working in India for 3 weeks now and I can tell you this – football is a popular sport in India. I have a range of 6 sports channels in my hotel room and 3 of them are constantly showing football. I’m able to watch re-runs of all the top games from the EPL and Serie A, I can watch live EPL games throughout the week and I can also watch the Champions League live. But one thing is very obvious: there’s absolutely no coverage of any Indian football. River Plate wonderkid Erik Lamela could make his Argentina national team debut on Wednesday after being added to the local Seleccion to take on Paraguay. The 19-year-old number 10 earned the call from coach Sergio Batista after Gimnasia midfielder Luciano Aued dropped out through injury, as confirmed on Friday morning on the Argentine FA's official website. The Lobo man suffered a pelvic injury and was forced to drop out of the squad. Lamela's River team-mate Jonathan Maidana will also miss out, after the defender limped out of Sunday's Superclasico with a sprained ankle. Tigre enganche Diego Morales takes his place in the 19-man squad. The Albiceleste will take on their South American neighbours on May 25 at 16:00 (20:00 BST), in the newly opened Estadio Club Atletico Sarmiento in the northern province of Chaco. Goalkeepers: Juan Pablo Carrizo (River Plate) , Adrian Gabbarini (Independiente). Defenders: Luciano Monzon (Boca Juniors), Ivan Pillud (Racing Club), Federico Fernandez (Estudiantes de La Plata), Lisandro Lopez (Arsenal), Ismael Quilez (Colon de Santa Fe), Ariel Rojas (Godoy Cruz de Mendoza), Julian Velazquez (Independiente). Midfielders: Cristian Chavez (Boca), Fabian Rinaudo (Gimnasia y Esgrima La Plata), Enzo Perez (Estudiantes), Diego Valeri (Lanus), Diego Morales (Tigre), Erik Lamela (River Plate). Forwards: Lucas Viatri, Pablo Mouche (Boca), Gabriel Hauche (Racing), Mauricio Sperdutti (Newell's Old Boys). Sad news, did anyone saw this, a Belgian player, Mehdi Carcela, was kicked in the head by Chris Mavinga, causing serious injury on him. I saw. I used to like Mavinga as he was like a funny player who moved to Liverpool... Now i don't feel the same.